Yes, you here that right. Smartphone giant Apple has come up with a new device named as the Apple wireless Magic Keyboard. Wireless keyboard has always been a part of Apple but something called an Apple wireless Magic Keyboard is very new in the market. The Gboard iOS keyboard of Google was released in October, 2016 in Gboard 1.2 version for its iOS users. And now, Apple has launched a wireless keyboard for enhancing the convenience of its customers. What is a Wireless Magic Keyboard? 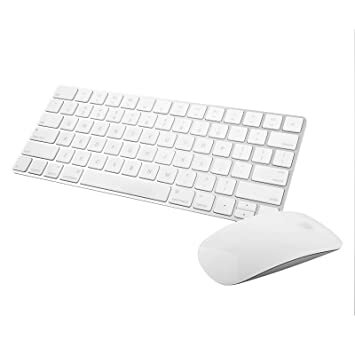 Apple wireless Magic Keyboard has lightning ports which comes with a fresh magic trackpad and magic mouse. The new thing about this wireless keyboard is that it comes in numeric keypad version. Previously the magic keyboard with numeric keypad always came with the wired version, but now the magic keyboard with numeric keypad comes in wireless version. Now you can enjoy the benefit of using numeric keypad with the new Apple wireless magic keyboard. The keyboard holds the capacity to power up a rechargeable battery over lightning and the charge lasts about a month between charges. No wonder why Apple has become a pioneer in many of these designs Abhijit. Thanks for the detailed info you shared. Hope you do some more about other keyboards on the market too!